This is because synthetic playing fields need periodic replacing, whereas natural grass does not. No matter what the costs, HPG strongly opposes the replacement of the natural grass at Middle Head Oval with a synthetic playing field on environmental, health, and public access grounds. The Sydney Harbour Federation Trust was established as public recreational parkland to be eventually transferred into the Sydney Harbour National Park. Synthetic fields would convert recreational parkland into dedicated sports fields making them unsuitable for transfer to the NSW National Parks system. Mosman Council, one of the wealthiest Councils in Sydney, has 3 of its own ovals. However rather than using one of its own ovals, is actually considering developing an open green parkland space which was dedicated and given to all the Australian people as a Federation gift in 2001. 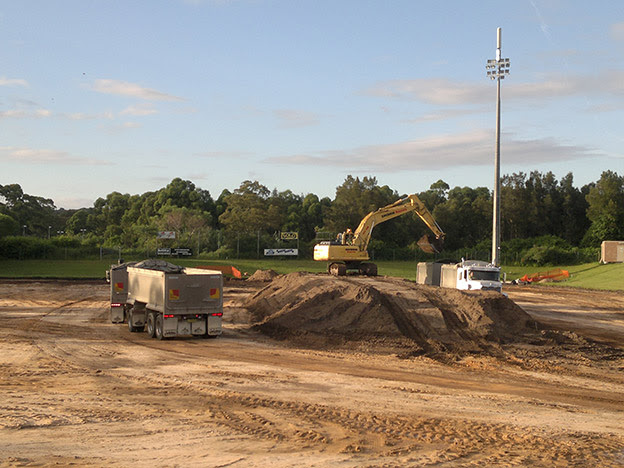 Synthetic Field Construction Cromer Park, Northern Beaches. Stop This Happening on Middle Head! Originally broadcast to members on 5 February 2017.